Blaise Smith RHA was born in 1967. He attended Fine Art Painting in NCAD. Afterwards he worked for several years as an interface designer in Computer Science in TCD and with Niall Sweeney collaborated on projects for the National Gallery, the London Underground, the Centre Pompidou in Paris and exhibited interactive installations such as EXIT in ARThouse in the 90s. He took up his brushes again when he moved to rural Kilkenny. He is particularly interested in the longevity of paintings and that they give a first hand account of what our world looks like to future generations. For this reason most of his paintings follow the technique of Holbein and other old masters – oil on gesso panel – because, to use a computer analogy, they are a “proven delivery platform” and can be shown to last at least five hundred years. He sees a painting too, as an interface, returning information over a long period, and describes himself as a documentary painter. Early in his career he was commissioned to depict in 24 large paintings entitled “ROADWORKS”, the men and machines of Cork County Council in 1999. The following year as part of a Percent for Art he completed ten large paintings for Kilkenny County Council entitled “The Millennium Landscape”. He continued to document the vernacular buildings of Kilkenny in a series of large paintings for a 2004 show in the Molesworth Gallery. A versatile painter he paints still-lives and portraits as well as the Irish landscape. He has won many awards and been selected in numerous juried exhibitions; notably the RHA Annual in Dublin and the BP Portrait Award at the National Portrait Gallery, London and recently won the Eigse Open Award in 2015. He has had eleven solo shows in the Molesworth Gallery, Dublin as well as several solo shows in Public art Galleries and Museums. He completed another major Commission of 20 paintings for Presentation College, Carlow entitled SCHOOLWORK which was exhibited in VISUAL, Carlow and The Crawford Gallery, Cork in 2013. 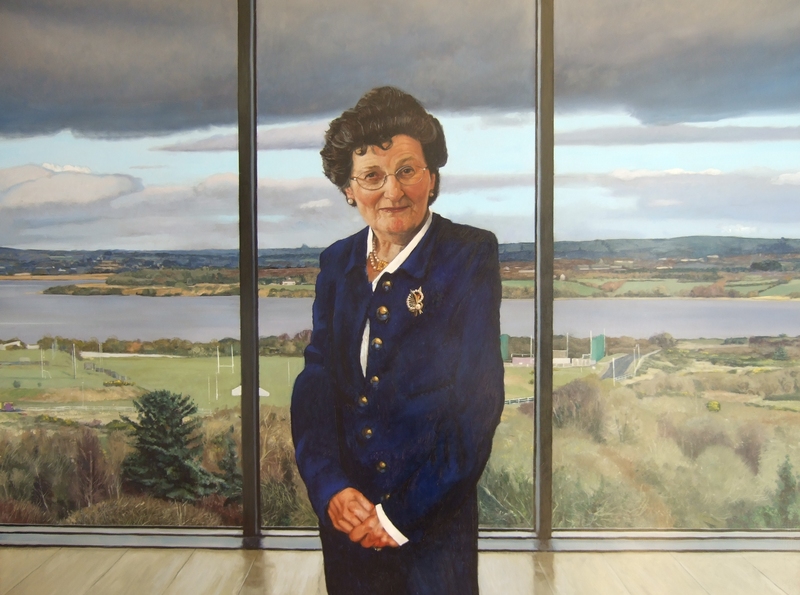 A portrait commissioned by the Abbey Theatre was unveiled in June 2016 and another major work “Waterford 2016” a large panorama of the city was unveiled in October. 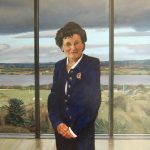 He has just completed a large group portrait of Eight leading Irish Scientists for the Royal Irish Academy as part of Accenture’s “Women on Walls” project which was unveiled in December 2016 and recently won the Irish Arts review/US Council Portraiture Award in the RHA where it is currently on display. He lives in County Kilkenny with his family.